Award-winning mattress maker OTTY is offering not one, not two, but three different deals on its excellent OTTY Hybrid or Essential mattresses. That's an impressive saving of up to £170 – just add your mattress of choice into your basket, and you'll be able to choose your deal at checkout. But you’ll need to be quick: they’re billed as ‘clocks go forward’ offers, so we expect them to disappear by Monday 1 April. March seems to be the month of cheap mattress deals – although given that it's national bed month, this isn't surprising. Simba is offering a free Hybrid Duvet worth up to £345 with most mattress purchases; Casper has slashed 15% off all its sleep products; and you can still save £100 on every Nectar memory foam mattress. 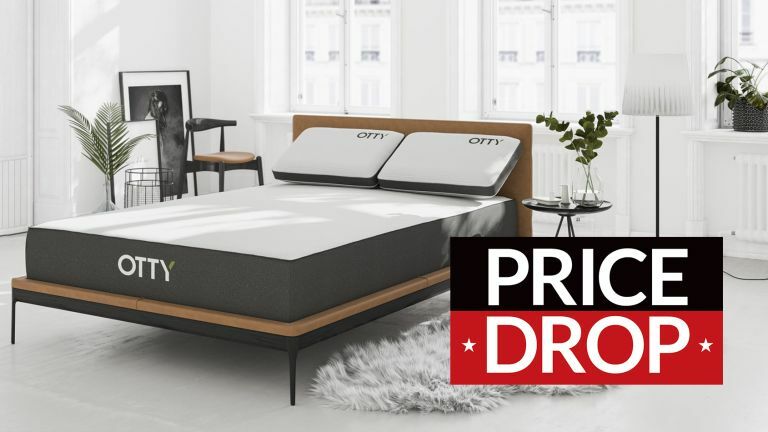 What makes these deals from OTTY really stand out is the fact the OTTY mattresses are already up to £200 cheaper than their boxed mattress rivals – that's before any discount is applied. And despite undercutting the competition on price, they don't cut corners on quality. Don't take our word for it: the company has a top collection of awards, including a coveted Which? Best Buy and a prestigious NBF (National Bed Federation) Award – OTTY is the only boxed mattress company to have won the latter. Impressive stuff.